PRESENT: K. SANDHYA RANI, l.Po.S. 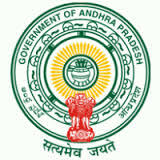 Sub: School Education issue of Rules The Andhra Pradesh Teachers (Regulation of Transfers) Rules Certain instructions issued Reg. 1. G.0.MS.NO.32 SE (SerJl) Depl., Dated: 04.06 2017. 2. This Office Proc.Rc No.190/Estt-lll/2017, Daled:05.06.2017. 3. This Office ProcRc No.190/Eslt-lll/2017, Dated: 06.06.2017. 4. This Oflice Proc.Rc.No.190/Estt-lll/2017. Dated‘ 07.06.2017. The attention of all the Regional Joint Directors of School Education and the District Educational Officers in the State is invited to the references read above. in continuation of the above the following further clarifications are being issued. 1. lf there is any doubt about the clarification issued at para 10 of this ofhce letter dated 6.6.2017, action may be taken as per Rule 2.iv (a) of G.O.No. 32. dated 4.6.2017. 2. The LPs and PETs who are affected due to upgradation of their posts as School Assistants (Lang/Physical Edn. )Shail be given rationalisation points and entitlement paints under Rule 6 (i) from the upgraded station in line with Rule 12, Note 3. 3. Necessary action may be taken for conducting promotion counselling to the upgraded posts of SA (Languages/PE) after completion of transfer counselling of SAs of the said posts. 4. Spouse of the service person working in BSF / CRPF may also be consrdered under men (it) of preferential category. 5. Participation of at least one academic year (during previous 2 years) may be taken into consideration. with regard to individual related performance points under Rule 10 (ct) of G.O.Ms.No.32 SE (Serll) Dept. Dated 04.06.2017 its. participation in sports & games, Inspire / Science fares l Exhibitions. 6. Under Rule 10b, the CCE performance pomts for Class 1 Teachers may be taken as average performance for 4 FAs and 8A1 and 8A2 as available in SAMs for Prakasam. Kurnoot and Vizianagaram. For other districts. it may be taken from the School Records. The same may be certified by the MEG concerned. Where teachers are handling combination of different classes. the average performance in such combination classes will be taken into conSioeration for that teacher. 7. For Bharat Scouts and Guides. the certificate issued by the HM duly countersigned by the Dy.E.O. should be submitted. Any deviation of the instructions will be viewed seriously and necessary disciplinary action will be initiated against the defaulters.